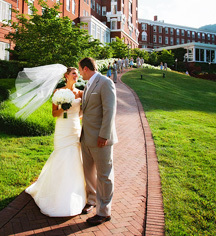 Distinguished by a timeless elegance and surrounded by the overwhelming natural beauty of the Allegheny Mountains, The Omni Homestead Resort affords a spectacular setting for once-in-a-lifetime celebrations. From a magnificent ballroom to the intimate Tower Suite to an outdoor setting amid the breathtaking landscape, each of the unique Virginia wedding venues creates an inspired backdrop for unforgettable weddings. 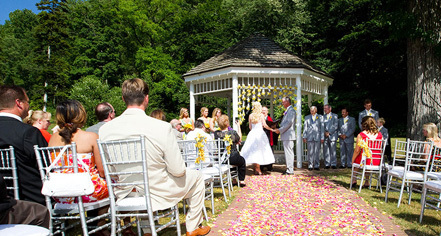 At The Omni Homestead Resort, brides, grooms, and loved ones will be able to appreciate the setting, the celebration, and each other while the wedding staff takes care of every element of a dream wedding. From the entertainment and photography to the flower arrangements and distinctively Virginia wedding fare, be assured no detail or custom arrangement is too small or too out-of-reach.